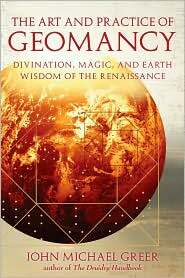 The book is divided into three parts: the first part contains chapters that introduce the reader to the history and art of geomancy. The second part deals with the actual mechanics of how to decipher the symbols and how to cast a chart. The third part works with meditation and magic using geomantic techniques. Chapter three provides information on the 16 geomantic characters and their meanings.